It’s all about preparation. Plan now for emergencies to protect yourself and your family. Safety is a shared responsibility. 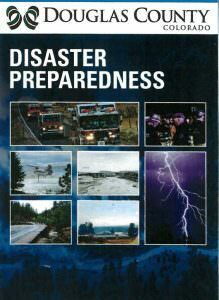 We’ve put together a Disaster Preparedness Guide to help create your disaster kit and plan. Step 1: On your device, download the “QuickSeries Mobile” app. Take time now to create your personal evacuation plan for your family and your pets. Sometimes emergency officials will ask you to stay where you are. Take yourself and anyone near you inside an enclosed structure, whether it’s a house, business, garage or vehicle. If you know of an invalid or unattended child in your neighborhood, call them and tell them to remain indoors. Keep any pets inside also. Gather a portable radio, flashlight and extra batteries. Move into an interior room, preferably a room with no windows. The metro area broadcasts emergency information on radio station at 850 on the AM dial. County officials may try to telephone your home or business using the county’s computerized telephone notification system. Do not call police, fire, or 9-1-1 unless you are reporting a police, fire or medical emergency at your location. Overloaded telephone circuits may keep actual emergency calls from getting through. What If My Children Are In School? The Douglas County School District has installed emergency notification radios (NOAA) in all schools. The schools have also been equipped with School Safe radios, allowing officials the ability to talk with first responders. They’ve been trained to protect your children and will shelter them in place until the emergency is over. Please do NOT call the school and tie up telephone lines needed by school staff to communicate with district officials. The district will notify you when it’s safe to pick up your children.